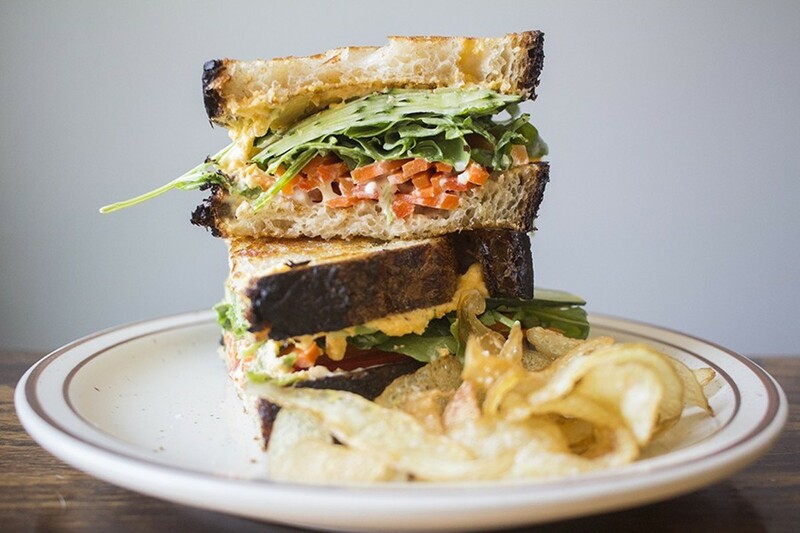 Rise's "Lunch Sandwich" features giardinera, cucumber, arugula and cheddar spread. 4180 Manchester Avenue; 314-405-8171. 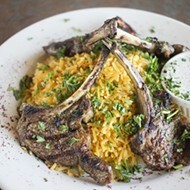 Kitchen open Mon.-Sun. 6:30 a.m.-2 p.m.
A few weeks ago, Rise Coffee House's chef Scott Davis did what no other chef has done in the ten-year history of the Riverfront Times' Iron Fork competition: The defending champion repeated his win. If you've never attended Iron Fork, the event is the paper's annual food fiesta, which recently returned after a two-year hiatus. Its centerpiece: a cooking competition that pits area chefs against each other in an hour-long culinary battle anchored by a secret ingredient. This year, Davis returned to defend his title, coming off his win in 2015, when he was the chef de cuisine at the now-shuttered Three Flags Tavern. Following Davis' repeat victory in Battle: Red Hot Riplets — a clear and unanimous decision by the judges — you could hear whispers throughout the crowd. Scott who? Where's he from again? When people learned that Davis is the chef at Rise, the knowledge seemed to elicit more questions than answers. 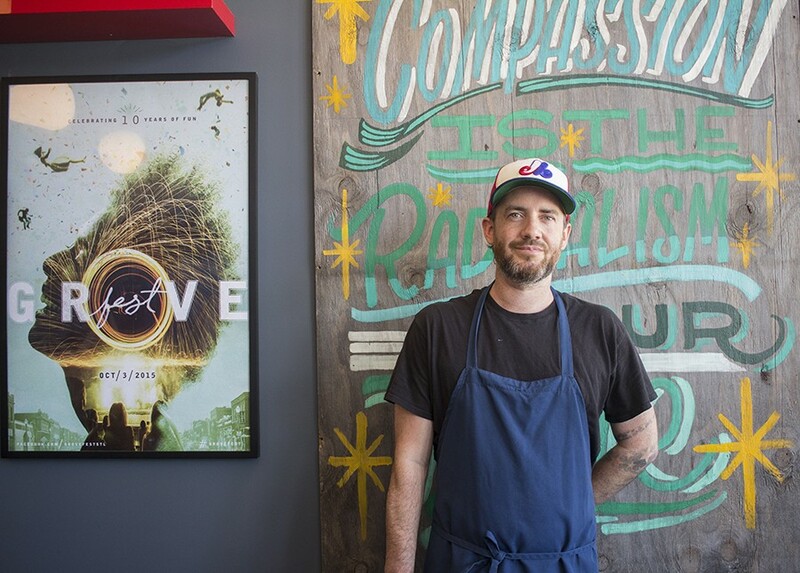 Scott Davis worked at some of the city's top restaurants before landing his current gig at Rise. The confusion is understandable. Rise, after all, is a beloved neighborhood institution, the place you go in the Grove for a glass of Sump cold brew and an ethically sourced scone. It is not, however, traditionally thought of as a culinary bastion. 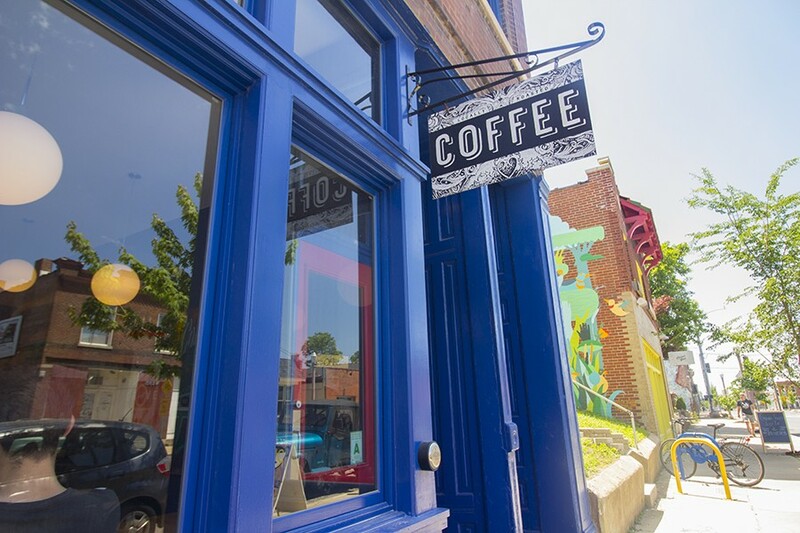 Since opening in 2013, it's been the quintessential gathering spot for everyone from young St. Louis politicos plotting a progressive agenda to tired moms desperate for caffeine and social interaction. In other words, it's a fantastic coffeehouse — but it's still a coffeehouse. That perception is no longer fully accurate. 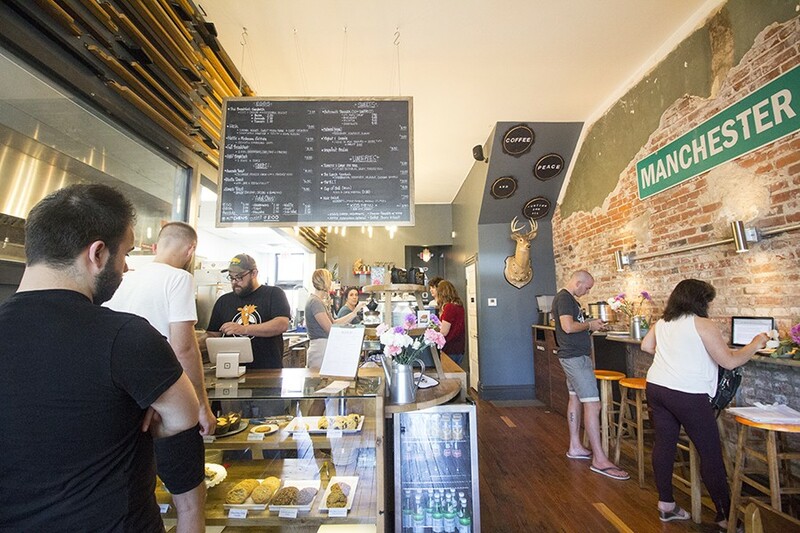 In 2015, Aaron Johnson bought Rise from its original owner, renovated the storefront a couple of doorsteps down and relocated the coffee shop this past November, a move that both doubled its space and provided a full kitchen and upstairs pastry facility. With this added kitchen capacity, Johnson was able to transform the food program. 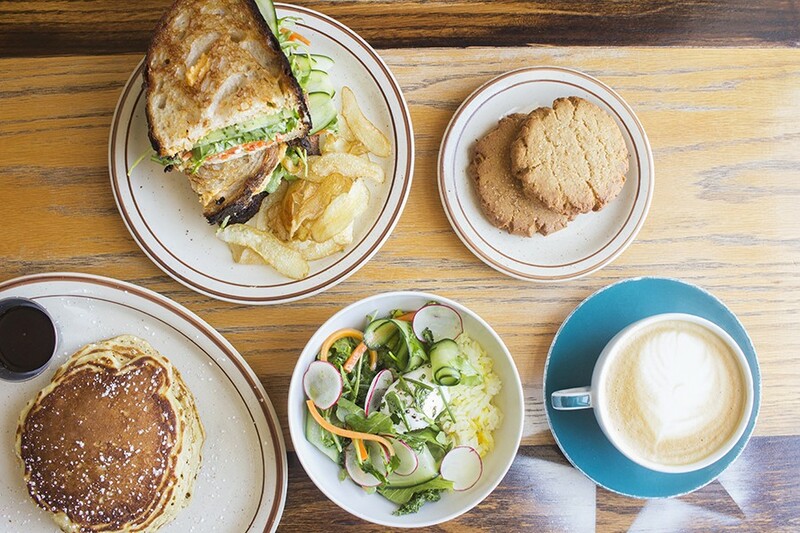 Previously, the lack of a kitchen had precluded Rise from doing its own cooking; now it's a bona fide café, serving not only its own pastries but a full breakfast and lunch menu as well. Johnson brought in Davis to develop the food offerings and run the kitchen. On its face, it seemed like an odd move for a chef who has worked in some of the city's top kitchens (Brasserie, Elaia, Three Flags). For Davis, however, it was the right fit. 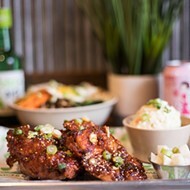 After years spent working grueling chef hours, the breakfast and lunchtime gig at Rise allows him the freedom to explore what his next step may be; it also gives him the chance to spend quality time with his wife and young son while creating the sort of fresh, uncomplicated fare he prefers to eat. Uncomplicated does not mean boring, however, as Davis' menu brings an elegance and sophistication to café fare. A crepe-thin frittata, flecked with herbaceous nettles, is adorned with hunks of creamy goat cheese, a salad of fresh herbs and mushroooms. If a typical omelet is a down-filled parka, this is a delicate pashmina. 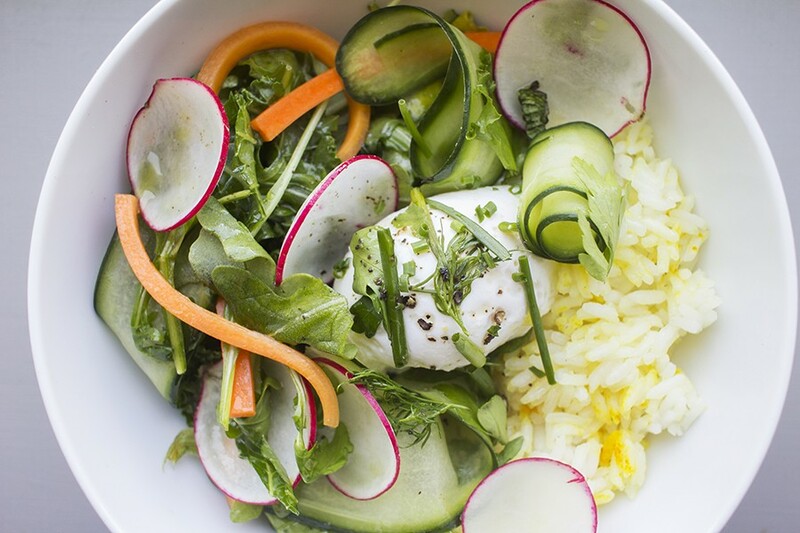 The turmeric and ginger rice bowl includes spring vegetables, whey and poached egg. This restraint is equally present in the vegetarian hash, a platter of roasted fingerling potatoes placed atop silken sweet potato puree. A glistening poached egg that occupies a state between liquid and solid balances atop the potatoes, releasing its yolk at just the suggestion of a fork's tines. 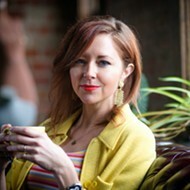 The egg's interior mingles with carrot-infused vegan hollandaise — an addition that gives the sauce an earthy undertone. Strips of carrots, peppers and asparagus top the hash, cutting through the richness with their vinaigrette dressing. It pains me that the brisket benedict offered as a special one Saturday is not a permanent fixture on Rise's menu, though that fact may save me from developing a problem. 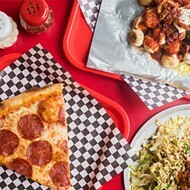 Davis starts with two slices of Union Loafers' bread, the worthiest of canvasses, and tops them with thick slices of fall-apart brisket that infuse the dish's other components with gentle smoke. These include two of those impeccably poached eggs and the most cloud-like hollandaise I've ever encountered. Less a sauce than an egg-pouf, Davis claims his only secret is making the sauce fresh every day. He's being modest; this is far and away the best hollandaise around. Even the child's dinosaur pancakes are a delight, and not just because of the whimsical shape. The cakes have a light, airy feel, as if you're eating a cloud — a cloud scented with hints of vanilla and butter. For another daily special, Davis layered traditionally shaped pancakes with warm banana compote; it turns a plain pancake into the banana bread version of lava cake. It's outstanding. Highlights include peanut-butter cookies and pancakes in addition to rice bowls and sandwiches. On one of my visits, the intoxicating scent of freshly baked shortbread was wafting through the entire building so strongly that I was momentarily hypnotized. On a subsequent day, I realized the source of the aroma: Rise's shortbread biscuits. These buttery beauties are a work of art in their own right, though employing them as a base for an egg sandwich is not a bad use of their talents. This biscuit is so thick and fluffy, it makes the sandwich look like a gigantic cream puff; its texture is firm enough to hold together, but still delicate enough to yield to the chive-studded scrambled egg between its layers. Adorned with cheddar, bacon and avocado, this is the Platonic form of a breakfast sandwich. Rise's lunchtime offerings are no less spectacular. Though avocado toast has become trendy enough to induce a reflexive eye-roll, Davis' version shows why it came to prominence in the first place. A crusty slice of Union Loafers' bread is thickly spread with smashed avocado, then topped with such beautifully assembled vegetables — pickled white onions, rolled-up radish slices, thin discs of cucumber and fresh herbs — it looks ready for a photo shoot. The accoutrements elevate this simple dish to a work of genius. Creamy mint-ranch dressing transforms a simple kale salad into a refreshing bowl of flavor. Sliced carrots and bread crumbs adorn this solid lunchtime offering. Likewise, turmeric and ginger infuse a simple rice bowl with brightness and layers of flavor; a poached egg makes for a delectable creamy dressing. Rise's "Lunch Sandwich" is a master class in the flavor you can achieve in a vegetarian offering. 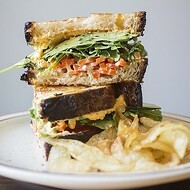 Pungent soft cheddar is spread on crusty bread, then layered with piquant giardiniera, peppery arugula and cucumbers. It's richly satisfying and perfectly balanced with a refreshing pop. Rise's new digs have room for a full kitchen, and more space for customers, too. Davis is not Rise's only culinary genius. Jackie Pierce runs the pastry kitchen, and in addition to those heavenly biscuits, she's responsible for the vegan peanut butter cookies that delight with just a hint of coconut oil flavor, whole-wheat chocolate chip cookies that taste like brown butter in solid form and a raspberry bar that marries tart (and somehow not overly sweet) preserves with buttery crumbles. Even if you just drop by for coffee, do yourself a favor and grab a pastry to go with it. And if you want to stop into Rise for just that — a cup of coffee and a muffin like you used to do at the old spot — it's still an option. 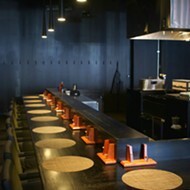 The new digs and expanded menu have not interfered with Rise's essential character. The only difference is that now you have the option to make it a full breakfast, or even stay for lunch. 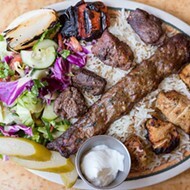 And if you do, you're in for a treat: Not only is the kitchen producing dazzling cafe fare, it's being served courtesy of a champion chef — one whose star is most certainly on the rise.